Yes! It's that old, and it's not any of Google's April fool. Officially known as Google Lunar X Prize, The initiative is a space competition organized by the X Prize Foundation, and sponsored by Google. The challenge calls for privately-funded spaceflight teams to compete in successfully launching, landing, and then traveling across the surface of the Moon with a robot, while also sending back to Earth specified images and other data. 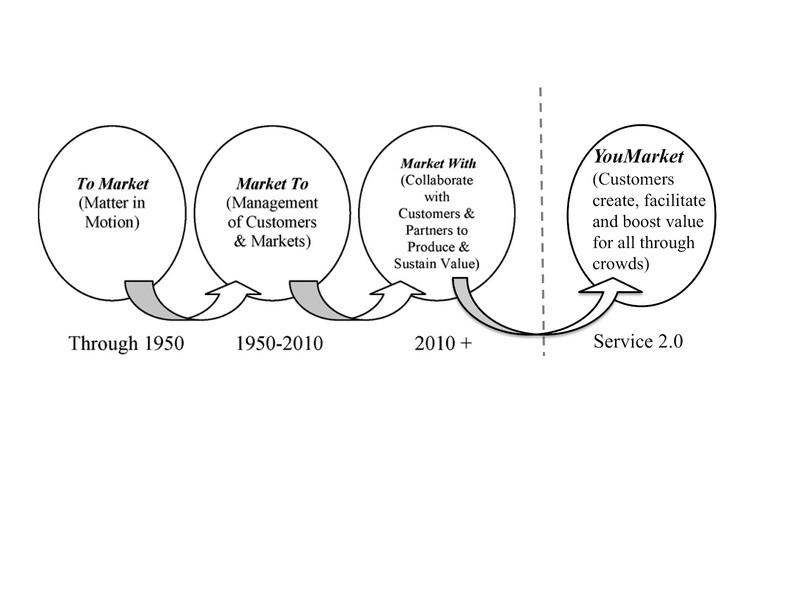 I know services are a lot more complicated, and that service systems and value networks are way sophisticated, but isn't it about time to look at "Service 2.0" and say: "Yes, we can!" What are you waiting for Service folks?! In service Design there are a lot of tools that are all focusing on building positive customer experiences and this include in some cases the collection of customer needs and wants before designing the service. So, why do I need to use service2.0 concepts if I can depend on other tools of Service Design to achieve the same objectives? First of all we're trying the blog here for the first time and tumblr looks a bit different from other systems. But in general this is a post by a blog visitor and he submitted through the post to the hub feature and it got published. But once published the name of the visitor is not being displayed. We hope to figure this out soon. 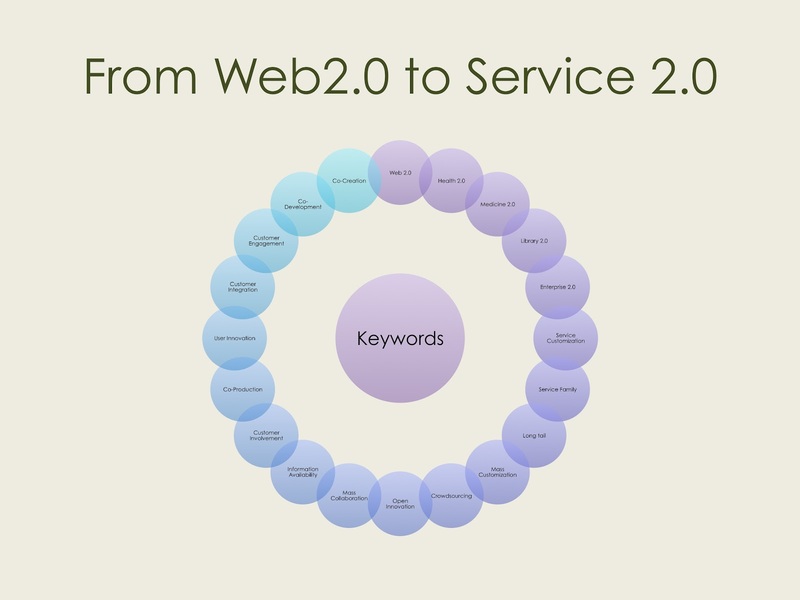 In reply to the question, Service 2.0 is not a service design tool or set of tools, but it's a rather new paradigm on services that tackle many aspects. Although not defined or fully defined yet which is the role of all of us, we can detect general themes of Service 2.0 as openness, agility, crowd-creation, personalization. 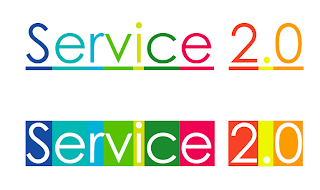 For service design in particular and from the initial research at the topic, service 2.0 thinking implies, services that are designed to be remixed with other services and easily hacked by others to adapt and modify which is called hackability and remixability. Service 2.0 also depends on loose coupling of service system components. It also adopts agility and perpetual beta as concepts for development. Service 2.0 also implies a different way of seeing the customer. 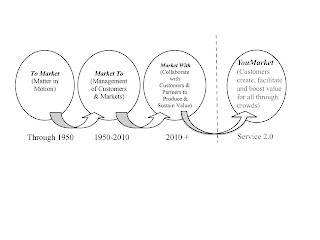 So it's not only about researching the customer, or involving customer in design or development or even in co-producing the service, in service 2.0 the customer is the main creator of the service either for himself or for others while providers only provide very rich, integrated and open service delivery platforms. I don't have much background in the discussion on Service 2.0, but what you mention here is really interesting. I am a huge proponent for co-creation and co-design and I have employed many service design tools in order to facilitate these approaches. When you mention 'co-producing' I can immediately draw connections to projects that I am familiar with. "in service 2.0 the customer is the main creator of the service either for himself or for others" -- this concept is somewhat unfamiliar to me... but very intriguing. Do you have any kinds of examples of this type of service design? To me this brings to mind many blogging platforms, like wordpress, which allow users to create and manage their own sites and content. Is this along the lines of what is intended by service 2.0? Yes, but our main proposal here is for services in the offline world. Technology could be a facilitator sometimes but it's not the main theme. 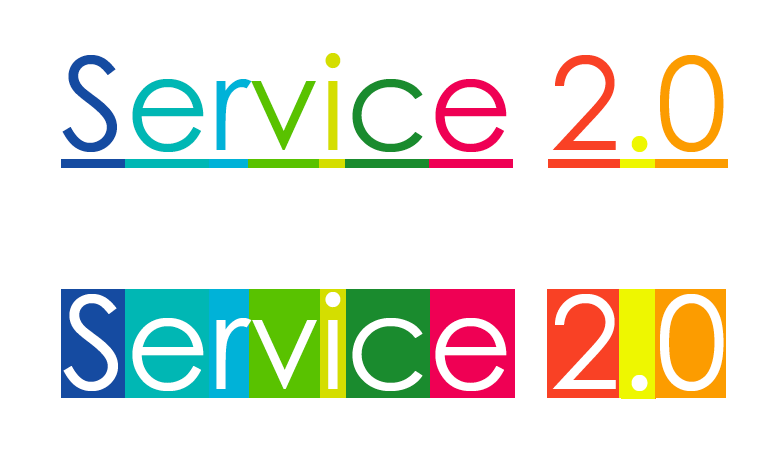 I've organized a workshop on Service 2.0 in ServDes 2012 and participants presented Service 2.0 concepts which I'll post in few days. But I've already mentioned in the workshop examples of 2.0 things that happen in the major sense in the offline world. for Example check "Open Source Ecology project" http://opensourceecology.org/ . Revolutions that took place in Egypt, Tunisia are also 2.0 oriented. Check revolution 2.0 . There's also the Google X Prize which is informally called Moon 2.0 which is about the first privately-funded team that could land a robot on the moon. We're here talking about the power of the crowd and the power of the individual. "service 2.0 port" was there at ServDes 2012 and was happy to host the brilliant ideas on the next generation of services. "I’m ur “service 2.0 port”. u say it here, I take it to the world and the future … What do u have for me today?! Grab a post-it sticky and post something in any of the awesome colorful areas. U can always take it straight 2 brother (service 2.0 hub) & he does the job with other younger siblings on Twitter, Facebook, Linkedin. U normally find him hanging around service2.org"
The port gives you 6 areas that are just as colorful as the future to post your insights for the ServDes attendees. The port will take them online and share them with the world. Service 2 .... What's it like? Think it's cool? u serious? why? Service 2.0 could be looked at from 2 points of view, both points of view are considered. 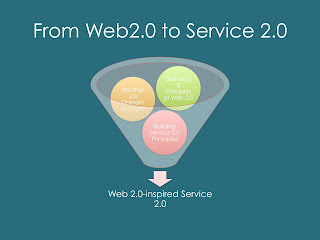 The first point of view is looking at service 2.0 as an inspiration from the Web 2.0 phenomena. 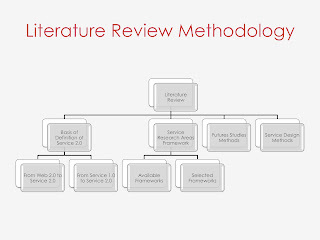 The second point of view looks at service 2.0 as a development of earlier service thought; which could be referred to in this regard as service 1.0. This figure demonstrates the first point of view. 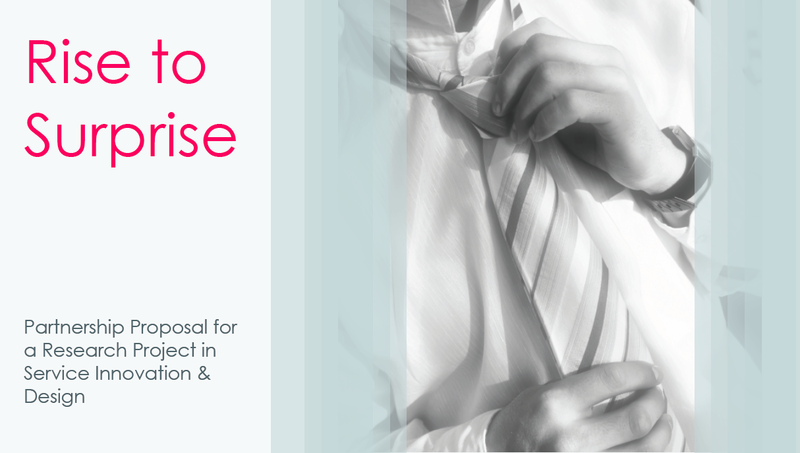 So the Project includes a theoretical framework work and a practical research work. 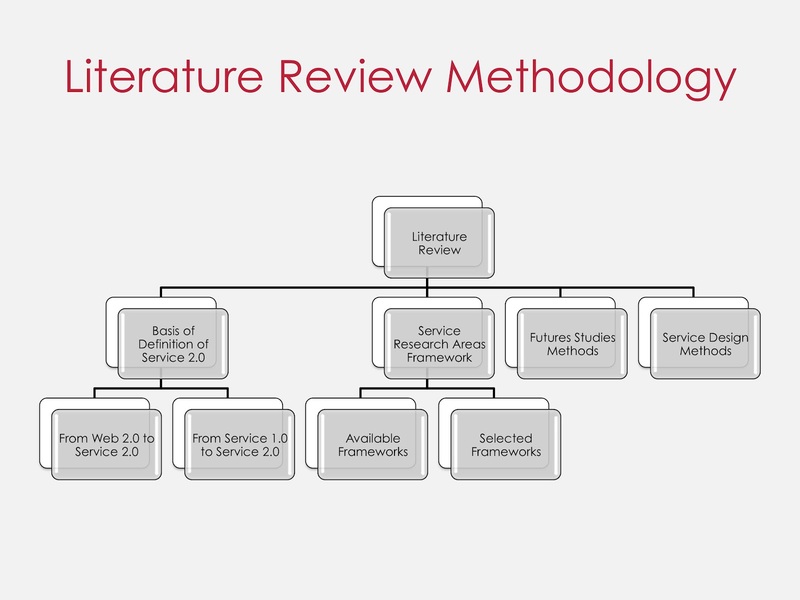 The image highlights the methodology for the theoretical framework. 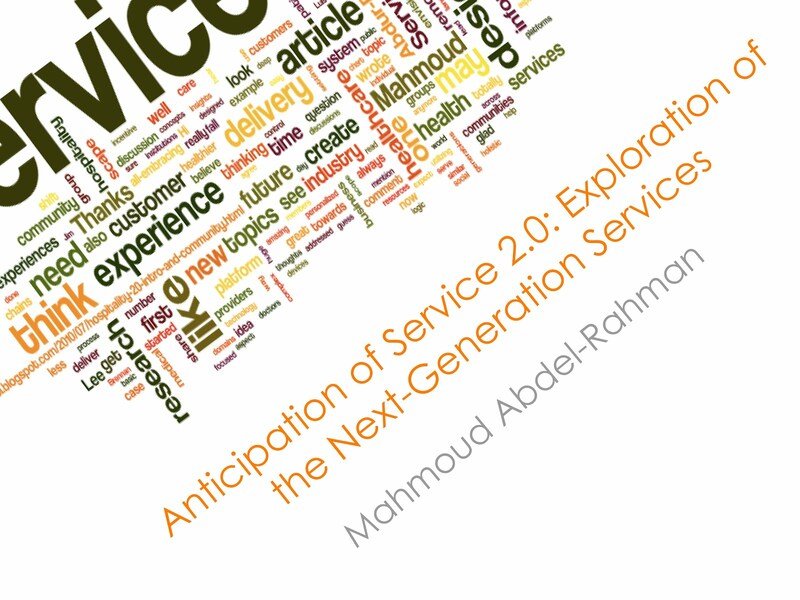 "Anticipation of Service 2.0: in Exploration of the Next Generation of Services" is a thesis research project in service innovation & design at the Laurea University of Applied Sciences, Leppävaara- Finland. The project utilizes crowdsourcing, service design methods and futures studies tools to explore the next generation of services. The research leverages the contributions of researchers, practitioners and customers to define how the next generation of services looks like. The project utilizes online and offline tools to capture contributions and insights. So Service 2.0 by far was a very winning concept. I didn't expect all that interest in the topic and even for a while after the discussions were concluded I used to receive votes for Service 2.0. I then decided to work on Service 2.0 and presented my first plan of the topic with the idea being still very vague at that time. And at a point of time I thought to find partners for my research projects here in the region. So I developed a proposal on the project and gave them the right to vote on the project topic as well, but I guess the initiative was not that interesting. Yeah, so a year ago I used to come up with a new thesis topic for every trip to Finland. I would see Katri Ojasalo and tell her about the topic I'm thinking about and she would say "Great! Go ahead and start". I would go back to Riyadh and the next month I would come back with a new topic. When it was time to officially start my thesis work and present a tentative plan, I filtered all the topics I came up with throughout the months like "Experience-dominant Logic" and settled for 5 topics to pick from. I posted them with a brief description on my blog and opened discussions on them on 8 service-related LinkedIn groups. 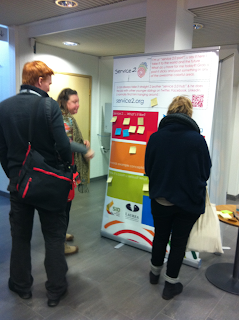 I asked researchers and practitioners about what they'd like researched. I believed that my thesis is a product that I would like to make sure is needed from my customers before I decide to work on it. This link includes my 5 topics and the discussion that took place for over a week in 8 groups. 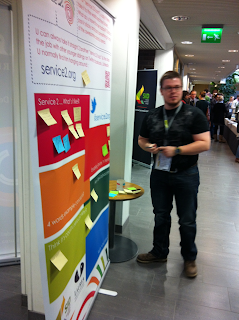 This is where everything started; the whole thought on Service 2.0. 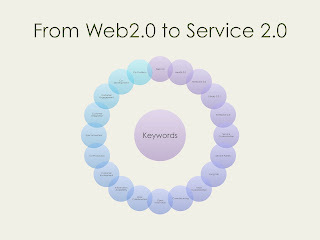 I was working on a service design project in the hospitality field and was thinking if Web 2.0 concepts jumped to the offline service world, how would things look like? So I started by writing this post on "
Hospitality 2.0: Intro and Community Engagement In SD and Delivery"
Ok, so this is the service 2.0 central online presence for the time being, in a couple of weeks it will become the blog while the main site gets launched. Until then, I'll post few posts to get everyone on track specially with ServDes being in less than a week.